SPECIAL OFFER Free 45M roll of tape to seal open ends of panels with each order. Multiwall polycarbonate glazing sheets - 4mm Clear Polycarbonate. These greenhouse polycarbonate sheets are specially extruded to the 1220mm length with a tolerance of -0mm/+10mm. 4mm Clear Polycarbonate sheet transmits 88% of available light. Applications include usage as greenhouse glazing sheets and temporary glazing. I would recommend your affordable products (4mm Greenhouse Polycarbonate - Special Offer 10 Sheets) to anyone else considering this product, as it has been superb. 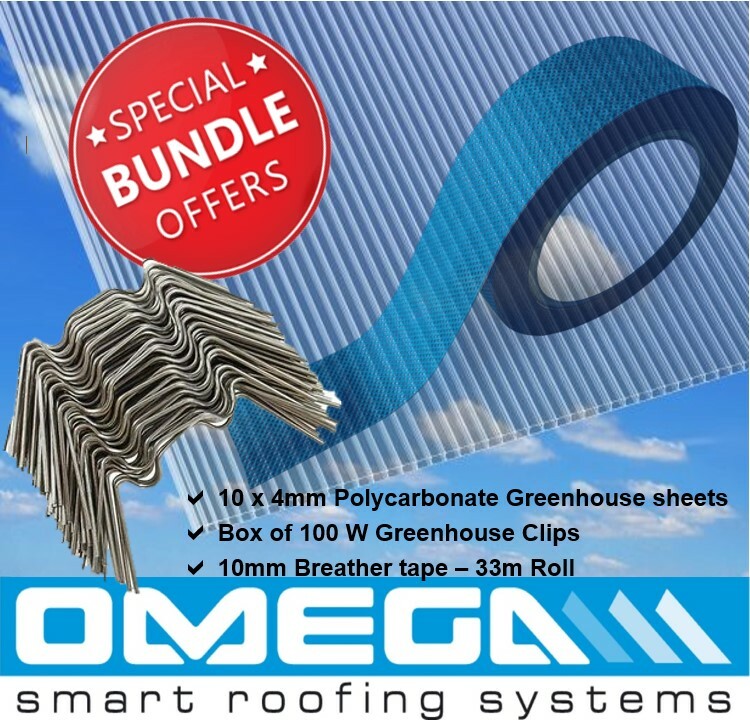 Omega Build Shop | 4mm Greenhouse Polycarbonate - Special Offer 10 Sheets. You are viewing 4mm Greenhouse Polycarbonate - Special Offer 10 Sheets, buy online today!